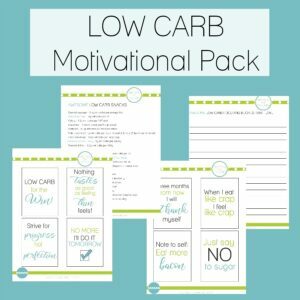 I *really* love spicy food – in fact I just started a Pinterest board for Low Carb Spicy Recipes! 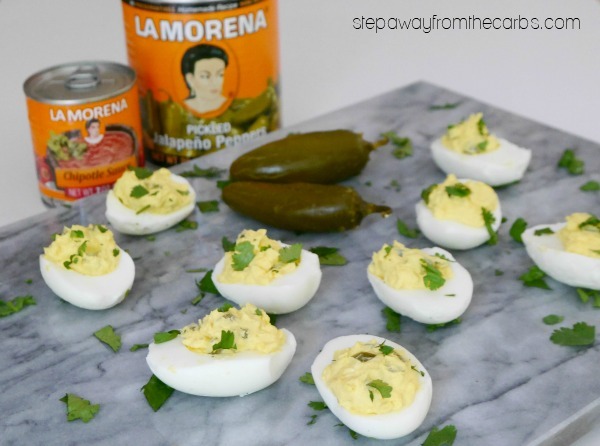 So I was really excited to discover some fantastic products from LA MORENA®! It isn’t a brand that I have tried before, so I happily stocked up on LA MORENA® Whole Jalapeños (28oz can) and LA MORENA® Chipotle Sauce when I was last in my local Jewel Osco. 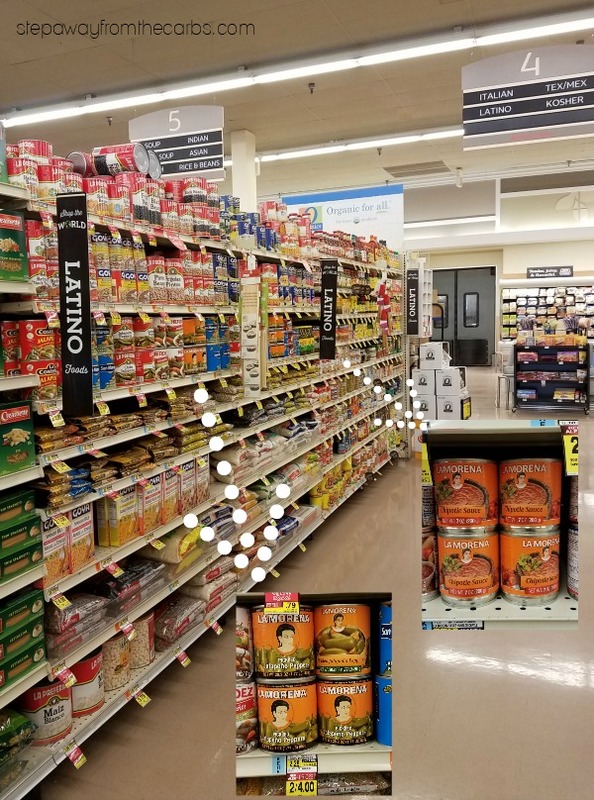 You can find the full range in the Latino aisle! I have great plans for that LA MORENA® Chipotle Sauce – in fact a quick search of my site and you’ll see how often I use chipotle! But I really wanted to have some fun with those LA MORENA® Whole Jalapeños! LA MORENA® has been producing high quality products for over 45 years, and is the leader in the chiles and peppers category in the US. 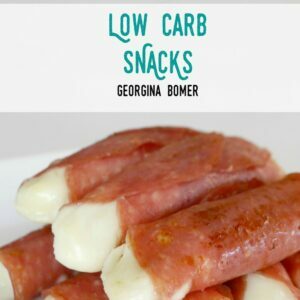 Like many people I really love jalapeño poppers, but I wanted to give them a special low carb twist. 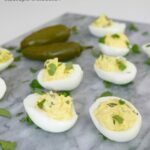 So using the same flavor profile, I decided to make these jalapeño popper deviled eggs. 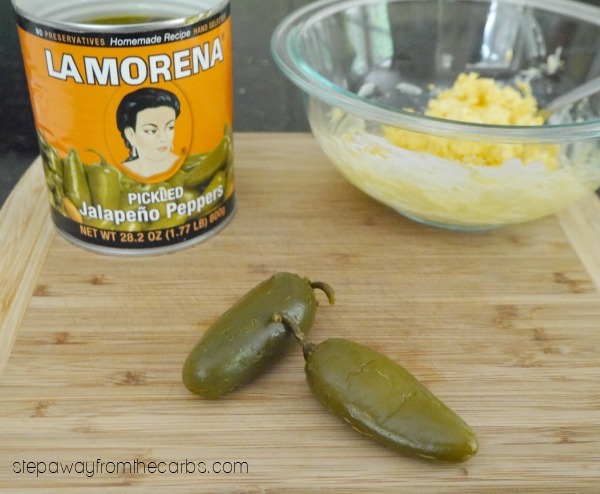 They really showcased the LA MORENA® Whole Jalapeños – and helped me (and my guests!) discover their authentic taste! 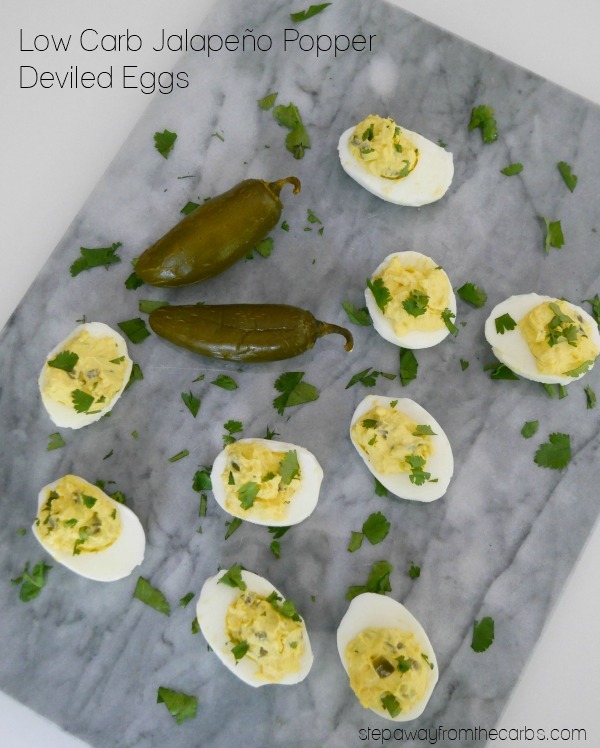 To prepare the deviled eggs, hard-boil some eggs. I usually cook a couple more than I think I’m going to need in case they don’t all peel neatly – you know what I mean! My favorite method right now is to cook them in an Instant Pot – soooo easy. Once the eggs are cool enough to handle, remove the peel and slice them in half lengthways. Scoop out the yolk and place it in a bowl. Set the egg white shells aside. 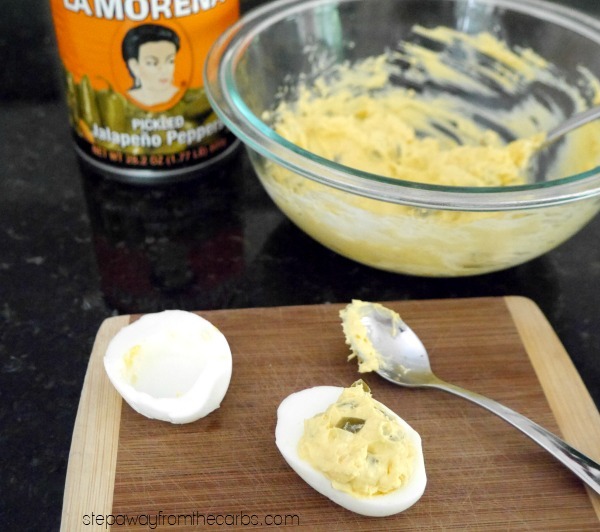 To the egg yolks, add softened cream cheese, sour cream, salt and pepper. Then it’s time to get those LA MORENA® Whole Jalapeños! Chop one jalapeño finely, then stir it into the egg yolk mixture. Do a taste test for spiciness – I ended up adding two LA MORENA® Whole Jalapeños as I wanted to *really* demonstrate the flavor and heat! If the mixture is too thick, add in a few spoonfuls of the pickling juice from the can of jalapeños. The smoother and creamier the mixture, the easier it will be to spoon or pipe it into the egg whites. Divide the egg yolk mixture between the egg white shells – I just spooned it in but piping would be fancier! 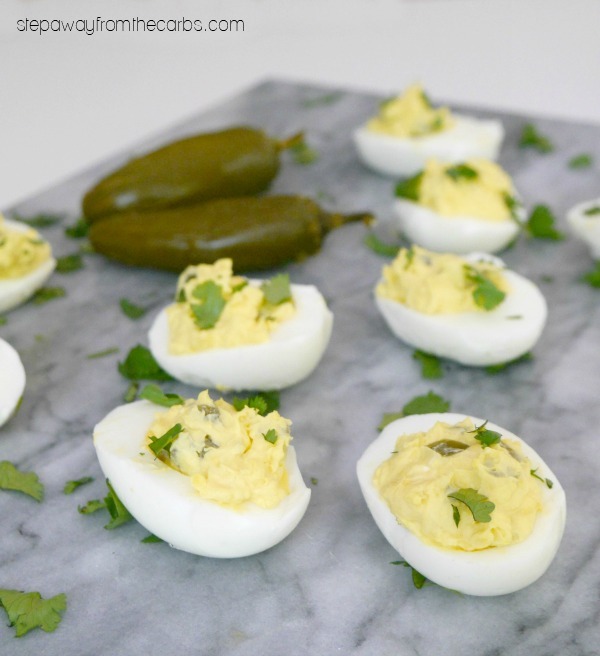 Garnish the jalapeño popper deviled eggs with fresh cilantro, then serve. Scoop out the yolk from the eggs and place them in a bowl. Set the egg white shells aside. To the egg yolks, add the cream cheese, sour cream, salt, pepper and jalapeños. Mix well, adding in some of the pickling juice from the can of jalapeños to loosen up the mixture if needed. Spoon or pipe the egg yolk mixture into the egg white shells. Garnish with chopped fresh cilantro and serve. 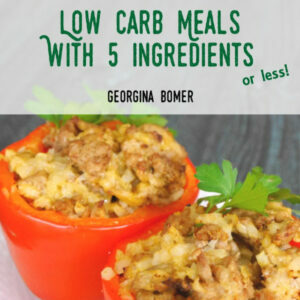 1.3g net carbs per serving of two egg halves. Find out more about LA MORENA® by following them on Twitter, Instagram, Pinterest, Facebook, or YouTube!